While it may seem like a pretty straightforward explanation as to how tonight's Olympic plebiscite results should be interpreted, it's not as simple as you might think. So, what exactly does a win look like in today's Calgary 2026 Olympic plebiscite? You could say it's simply 50 per cent plus one, but it may not be that easy. There are some factors that could complicate the path to victory for both sides, although there's definitely more uncertainty for the Yes side — even with a simple majority win. Mayor Naheed Nenshi is on the record saying Yes may actually mean no — or perhaps maybe. He said a Yes vote doesn't necessarily mean yes at all costs. Today's plebiscite is non-binding. The 15 members of Calgary city council will have the final say as to whether the 2026 bid lives or dies. Based on last month's marathon vote on whether council was going to extinguish Calgary's Olympic dream prior to the plebiscite, the majority of councillors (8-7) did vote against the bid and plebiscite. But it was a special vote that required 10 votes, a two-third majority. So, here we are voting in the city's first plebiscite in almost 30 years. This part seems pretty straight forward. A No vote would leave council with very few options, since the province has indicated that if Calgarians vote against the Games, Premier Rachel Notley's pledge to hand over $700 million would evaporate. It was Notley's government that insisted the plebiscite be held before she hands over any cash. The loss of $700 million would blow a massive hole in the bid corporation's budget, which is counting on $2.875 billion in public money to fund its plan. The Yes side prefers to tiptoe around the question of whether a slim majority victory could spell trouble for the bid. 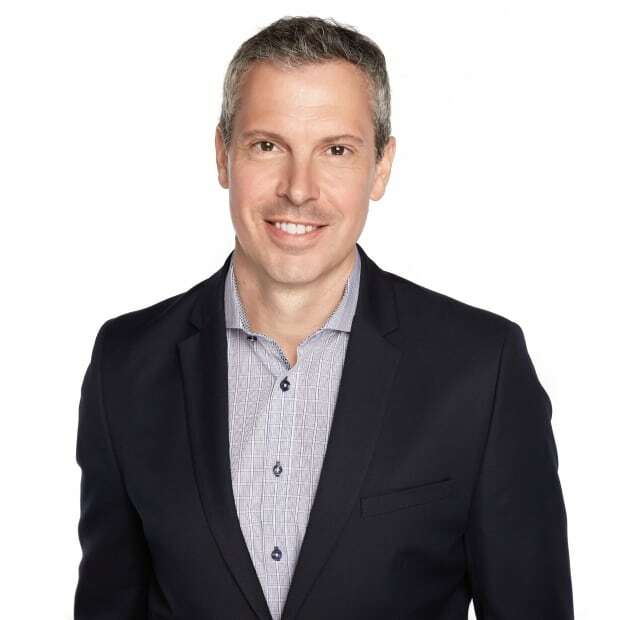 "Fifty per cent plus one is all that's in my control in the sense of what I can do," said Jason Ribeiro, an organizer with Yes Calgary 2026. Ribeiro didn't want to talk about the impact of a possible low turnout or if Calgarians halfheartedly endorse the Games by anything less than 55 per cent support. "A win for us is what the city has stated and that's 50 plus one," he said. What the two sides agree on is the need for Calgarians to get out and vote. 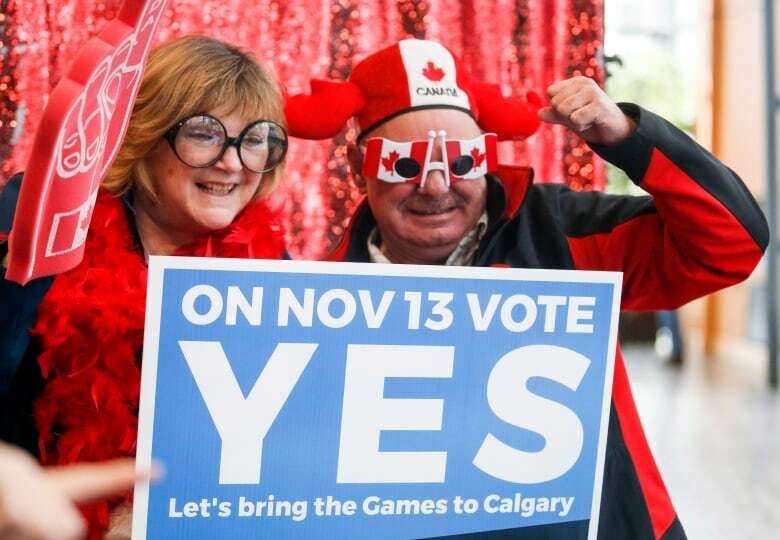 "We have a lot of support, but none of that matters if people don't turn out to vote," said Daniel Gauld, the founder of No Calgary Olympics. Gauld predicts a low turnout could result in a tight vote that could go either way. A look at recent Olympic plebiscites shows the majority have failed. Sion, Switzerland, 2026 Winter Olympics — 54 per cent against. Innsbruck, Austria, 2026 Winter Olympics — 53 per cent against. Graubünden, Switzerland, 2026 Winter Olympics — 60 per cent against. Hamburg, Germany, 2024 Summer Olympics — 52 per cent against. Krakow, Poland, 2022 Winter Olympics — 70 per cent against. 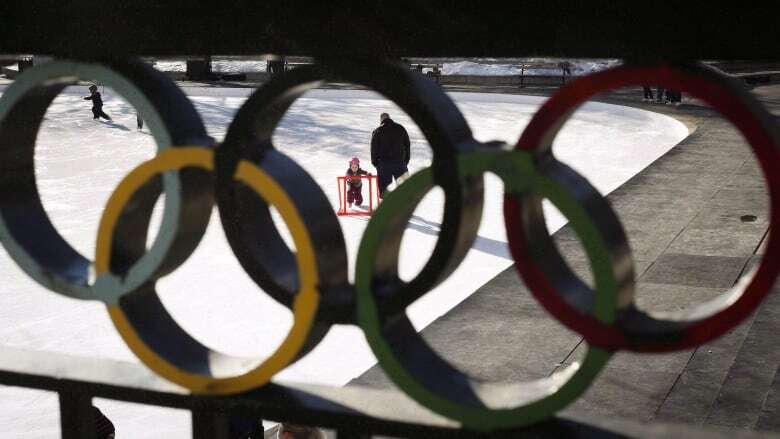 Munich, Germany, 2022 Winter Olympics — 52 per cent against. Oslo, Norway, 2022 Winter Olympics — 55 per cent for, but despite the result the city withdrew its bid. University of Calgary political science associate professor Melanee Thomas said a worst-case scenario for today's vote would be a low turnout and a 50-50 split. One could assume Calgarians are engaged in the Olympic debate based on the relatively strong numbers from the two-day advance vote. Last week, 54,442 people cast ballots at 18 polling stations. So if turnout reaches 40 per cent — a threshold Thomas describes as "ideal" — a stronger mandate for either side wouldn't be necessary to declare a bona fide victory, she said. "So if you've got a higher turnout, I think you can have a lower super majority," she said. But she said it may be too early to interpret those advance poll numbers. "This could go one of two ways: either Calgarians are more engaged than I initially anticipated on the Olympics question, or the portion that is engaged has already disproportionately voted," she said. Final results are expected to be announced within two hours.